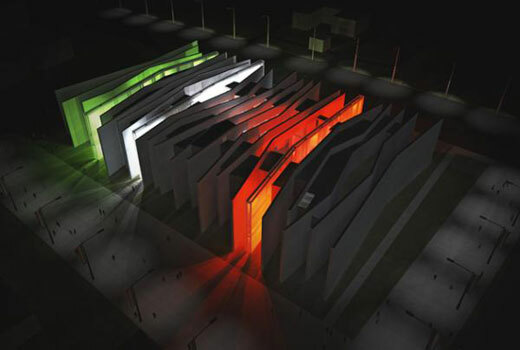 The design of ‘Italian Pavilion for Shanghai Expo 2010’ shown here is the 3rd prize winner. The architect, BiCuadro Architects, trying to express Italian city: ‘the historic city layered’ by exposing a split casing in a series of plates “stratigraphy”. The architectural design inspired all “true expression of Italian city: the historic city layered.” with a reinterpretation of a split casing in a series of plates “stratigraphy” that back to a time sequence, a metaphor for urban training Italian. The 1KL can be called as a high-end building as it utilizing fingerprint sensor (as you can find on high-end laptop) to match the resident with his room. Designed by SDA Architects, this high-rise building will stand 155 tall. And something that make this 25 storey stand out from the crowd is the 95 swimming pools, yes 95 not 9 or 5. 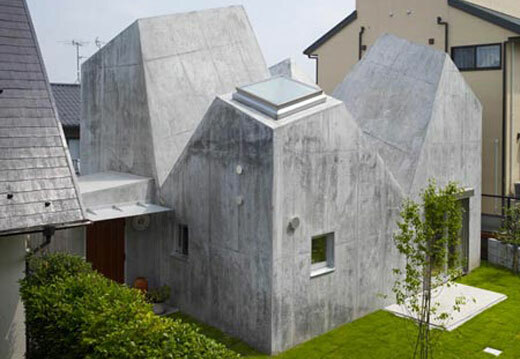 Designed by Torofu, a Tokyo-based architect, this family house is located in Yokohama, Japan. It has uncommon 3D mass especially on it roof. This one-storey house is constructed with cast concrete. 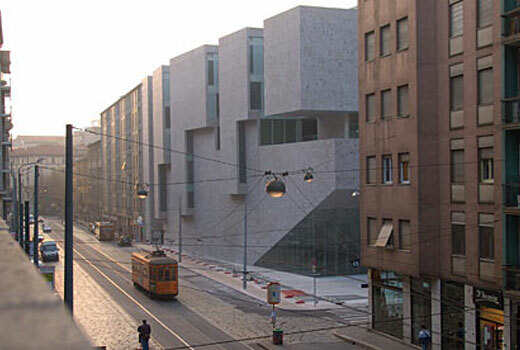 The new faculty building for the Luigi Bocconi University in Milan has been awarded as the first World Building of the Year at the inaugural World Architecture 2008 in Barcelona last week. According to the Festival director Paul Finch, the building is praised for its relationship with the city. Grafton Architects has successfully opened up the past of the city with a 21st-century attitude. She writes: After a day spent absorbing and critiquing presentations by the 17 category winners, the super-jury of Cecil Balmond, Ricky Burdett, Charles Jencks and Süha Özkan retired to consider its verdict. Robert Stern was chairman, presiding over a lively and good humoured debate. Discussions were underpinned by the aim of premiating architecture that ´thought about complex issues in an imaginative way´, according to Stern. Foster + Partners has won the best ‘New and Old’ category for its Robert and Arlene Kogod Courtyard during WAF (World Architecure Festival) 2008 in Barcelona, Spain. 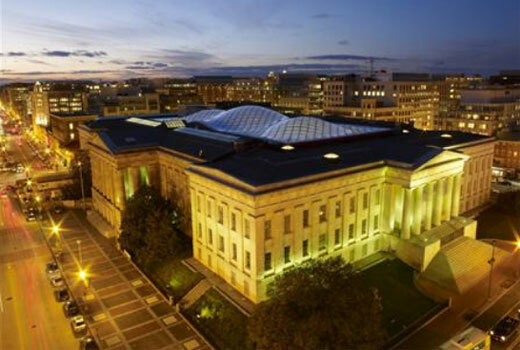 The judge mentioned the Smithsonian Institution as ‘an exquisite example’ of the insertion of modern elements into an existing structure. 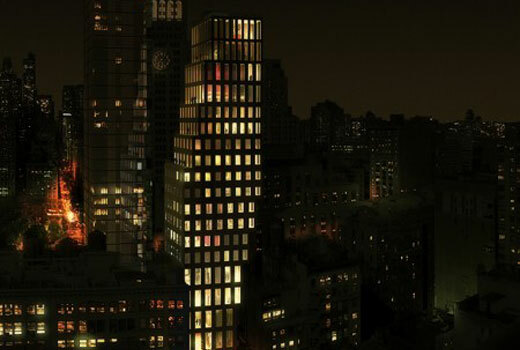 Situated in New York City, the 23 East 22nd Street Residential High-Rise building is the first OMA’s tower in the city. The construction is expected to be completed in 2010 and it will rise to 107m high which offers views of Madison Square Park from the upper floors. “Mirroring the traditional New York setback, the building’s form is at once familiar and distinctive”, said OMA founder and partner Rem Koolhaas. “The form provides a number of unexpected moments that appear at each step – balconies at the upper part of the building and floor windows at the lower part—providing a variety of unit types and features throughout the building”, he said. 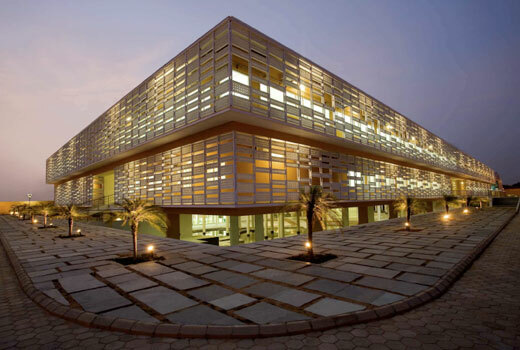 Designed by Morphogenesis, the Pearl Academy of Fashion is created as a sustainabale building by combining traditional technic and modern technology. From the outside, the building look simple with cubic shape. It’s located in Jaipur, India and adopting the traditional cooling method from Rajasthan. Jægersborg Water Tower was converted into a mixed-use building, an interesting idea. The architect who had responsibility to design the project was Dorte Mandrup Arkitekter Aps as a result of a competition in 2004. 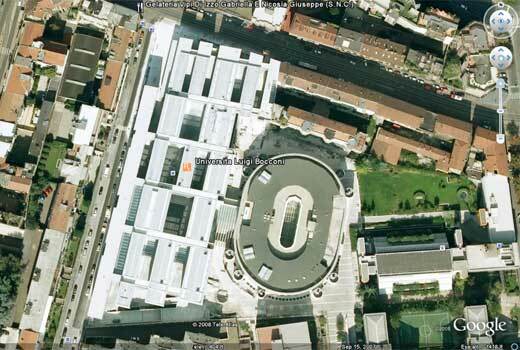 It’s sited on 5,370 sqm of area at Gentofte, Copenhagen, Denmark. In my hometown, there is such old and unused tower, and hope it will be converted also.